The Style 4 wheel is a classic multispoke design. 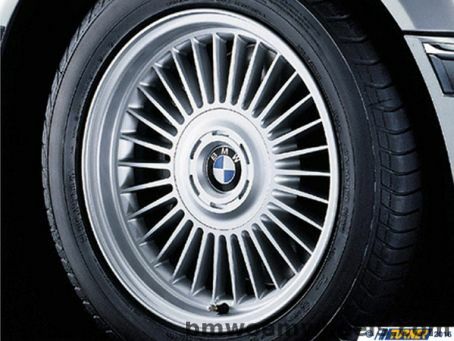 Originally used on the E38 7-series, the design looks at home on other 5/6/7-series from the era and even the E30 M3. The 16x8.0 size is perfect for a 16" square set with a 225-235 tire. Original name Multi Spoke.